With over 30 years of industrial power supply experience, MEAN WELL provides a variety of standard power supply. 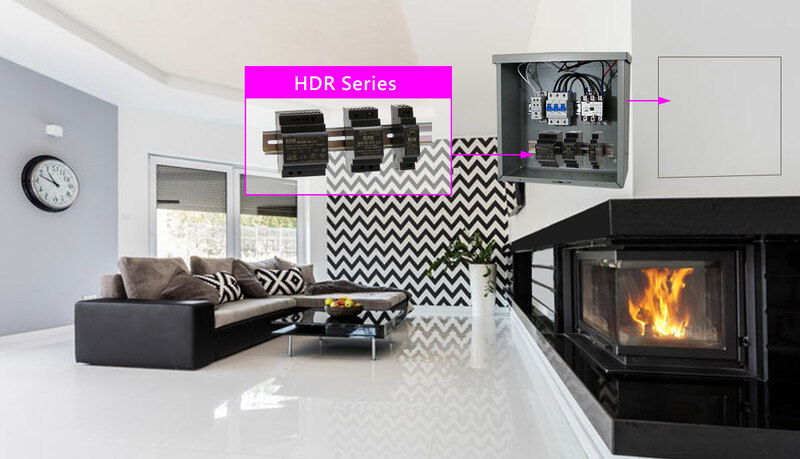 Among them, the ultra-slim step shape type, HDR series, is a compact and high efficient power supply. It is suitable to be installed in Building and Home distribution boxes to provide power for all kinds of applications, such as building safety, surveillance, video, audio etc. MEAN WELL launched 15W/30W/60W/100W/150W series and provides complete voltage models (5V/12V/15V/24V/48V). The system integrator can select the appropriate specification power supply according to application requirements, and further use them with MEAN WELL KNX products to achieve smart building.